CIOs and data center managers who run large hybrid clouds worldwide have a good chance of hearing IBM knock on their doors in the next few months. That's because IBM is opening 18 new "availability zones" for its public cloud across the U.S., Europe, and Asia-Pacific. An availability zone is an isolated physical location within a cloud data center that has its own separate power, cooling and networking to maximize fault tolerance, according to IBM. Along with uptime service level agreements and high-speed network connectivity, users have gotten used to accessing corporate databases wherever they reside, but proximity to cloud data centers is important. Distance to data centers can have an impact on network performance, resulting in slow uploads or downloads. Eighty percent of the world's data is sitting on private servers and it's not practical or even permissible in some cases to move all the data to the public cloud, IBM noted Monday when it announced the new availability zones. "Our focus is very much obviously on the enterprise, it's on our clients who have very traditional workloads that they’re looking to modernize over time as they infuse new cloud-native skills," said Aki Duvvur, worldwide product manager for the IBM Cloud. IBM data centers can host data in multiple formats and databases including DB2, SQLBase, PostreSQL, or NoSQL, all exposed as cloud services, Duvver said. "We have spent a lot of time and effort around our Kubernetes-based container platform, and we’re taking advantage of common logging and common services between our on-prem environment as well as our public cloud environment," Duvver said. During the course of the year, Duvver said, IBM will make all its cloud services, including the Watson AI service, consistent across all its availability zones, and offer multicluster support – the ability to run workloads and do backups across availability zones. IBM is locating the new availability zones in the U.S. South region, centered in Dallas; in U.S. East, in Washington, D.C.; in two European regions, centered in London and Frankfurt; in Asia-Pacific, in the Sydney area; and in the Japan region, in Tokyo. Each region will have three new data centers, for a total of 18. In Europe, the data-center availability zones will help meet demand from corporations who under GDPR (General Data Protection Regulations) need to host data locally. At the moment, IBM boasts that its global network has more than 2,600 Gbps of connectivity between data centers and network PoPs, and that its network PoPs have more than 2,500 Gbps of transit and peering connectivity to the Internet. IBM says that 95% of Fortune 500 companies use its data services in some way. 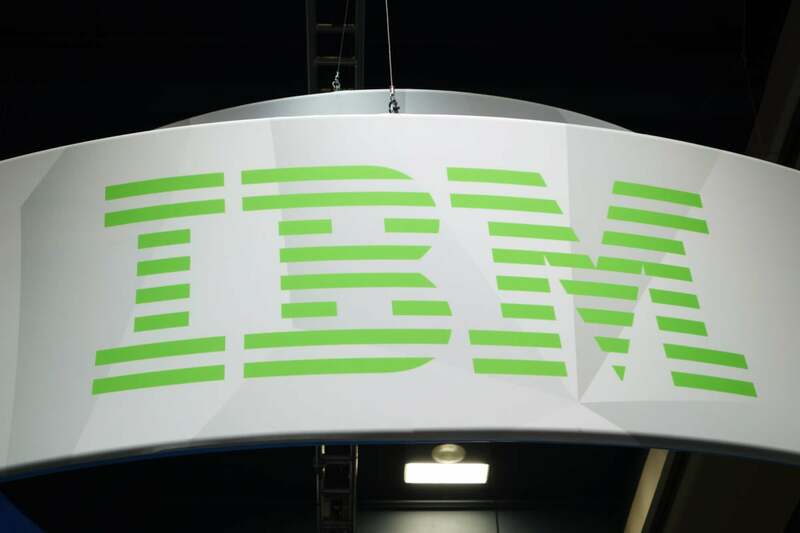 Along with the data center expansion, IBM also announced that a number of large companies are moving their workloads to the IBM cloud, including American Airlines, Bausch + Lomb, Westpac, Credit Mutuel, and ExxonMobil. Amazon Web Services has by far the largest overall market share in the public cloud. In the first quarter of 2018, AWS held 33% global cloud infrastructure services (platform as a service, infrastructure as a service and hosted private cloud), according to the Synergy Research Group. That compares to about 14% for Microsoft Azure and 8% for IBM. But IBM has a solid reputation among large enterprises. About 38% of almost a thousand respondents to RightScale's 2018 cloud survey said they were running applications in, experimenting with or planning to use IBM's public cloud. The overall demand is huge, and growing. The global public cloud services market is projected to increase 21.4% in 2018 to total $186.4 billion, up from $153.5 billion in 2017, according to Gartner. It's also a growing business for IBM. In April during its first quarter earnings report, IBM said it had cloud revenue of $17.7 billion over the last 12 months, up 22% over the prior 12-month period. That compares to the $81 billion in total sales that analysts expect the company is expected to generate this year. "We definitely see hybrid as the journey to the public cloud," Duvver said. "Do we think all workloads will end up in the public cloud? Probably not, but the vast majority will end up there over time and we feel we are the full provider for enterprise clients that are making that journey." American Airlines, for example, still uses mainframes but has turned to IBM's public cloud to help provide services for information kiosks and mobile apps that allow travelers to make reservations, change seats and obtain information on flights, according to Duvver.